My spa routine is constantly changing depending on what my body, hair, and skin are in need of. That being said, this week’s regimen shows love to pretty much every part of my body. On Monday I arrived home after traveling for work. I had taken four flights in the span of seven days, so you can imagine how much my skin is freaking out right now, along with everything else. Click through the gallery ahead to peep everything I’m doing to recover, and possibly pick up some tips for the next time you need to do the same. The minute I jump (okay, roll—it’s Sunday) out of bed, I make my way to the kitchen where I pour myself a tall glass of room-temperature water, adding in a shot of apple cider vinegar and the juice from a quarter of a lemon. This wakes up my digestive system—plus, I feel bad having coffee be the first thing to enter my body. 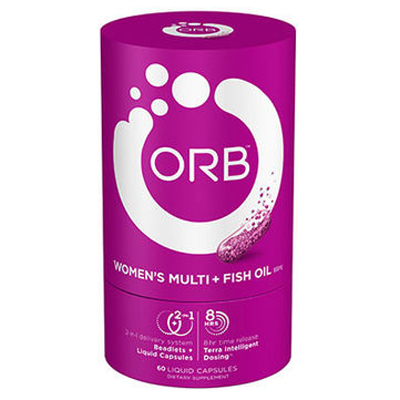 I also take two Orb Multivitamin + Fish Oil pills at this time to get my daily vitamins (there are 21 vitamins and minerals in these guys!) and antioxidants—these babies have a timed release, which in my opinion is the best way to have your vitamins. I wash my hair on Sundays, so I hop in the shower while my pot of coffee brews. I’m constantly switching up my shampoo and conditioner, but right now I am trying out Rahua voluminous shampoo and conditioner—shoutout Aleali May for putting me on to these—I’ve just started using it but so far I give it two thumbs up for how shiny it makes my hair, plus the volume it gives me is A1. 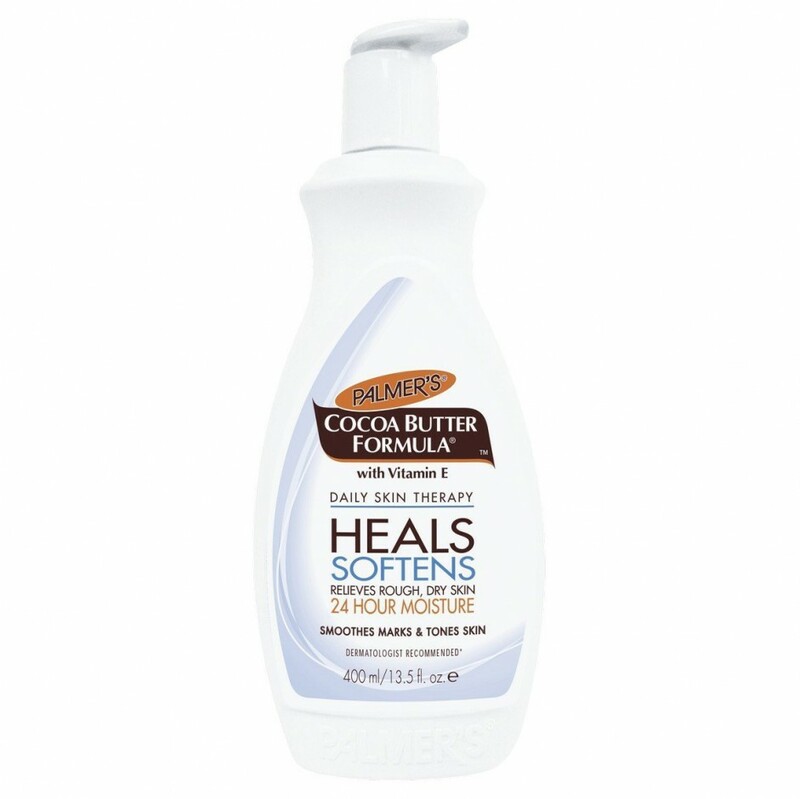 Once I’m out of the shower I immediately lotion my entire body using the OG Palmer’s Cocoa Butter. I kid you not, there is no other lotion out there that can make your skin feel as soft as this one does—it’ll turn your skin into literal butter. Once moisturized, it’s time to tackle styling my hair. 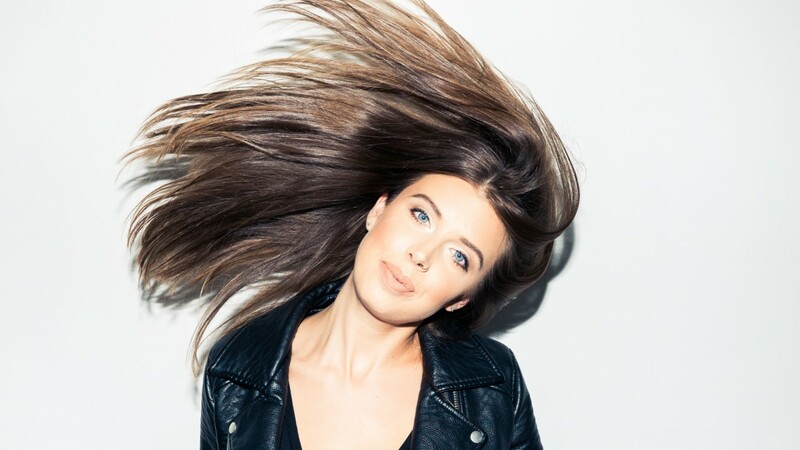 Before letting a brush get anywhere near my hair, I spray on Drybar Prep & Prime Detangler to get rid of any knots. 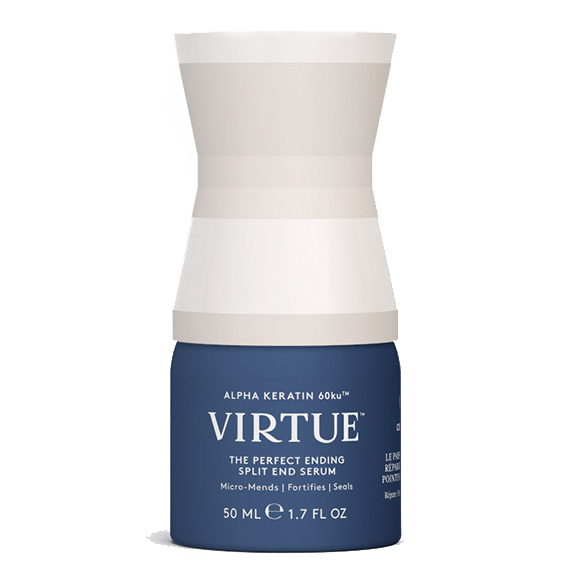 Once brushed, I use my fingers to run Virtue Split End Serum through my hair—from midshaft to ends—then I throw it all up in a towel. This serum smells heavenly (kind of a little bit spicy, which I love), absorbs incredibly well into your hair and adds a ton of moisture to my ends. Now it’s time for my favorite part: a face mask. I’m so, so addicted to face masks—if I had time to do one every day I would. The mask changes depending on my current issues. Right now, due to all the flying, my skin looks tired and I’m experiencing a small breakout. 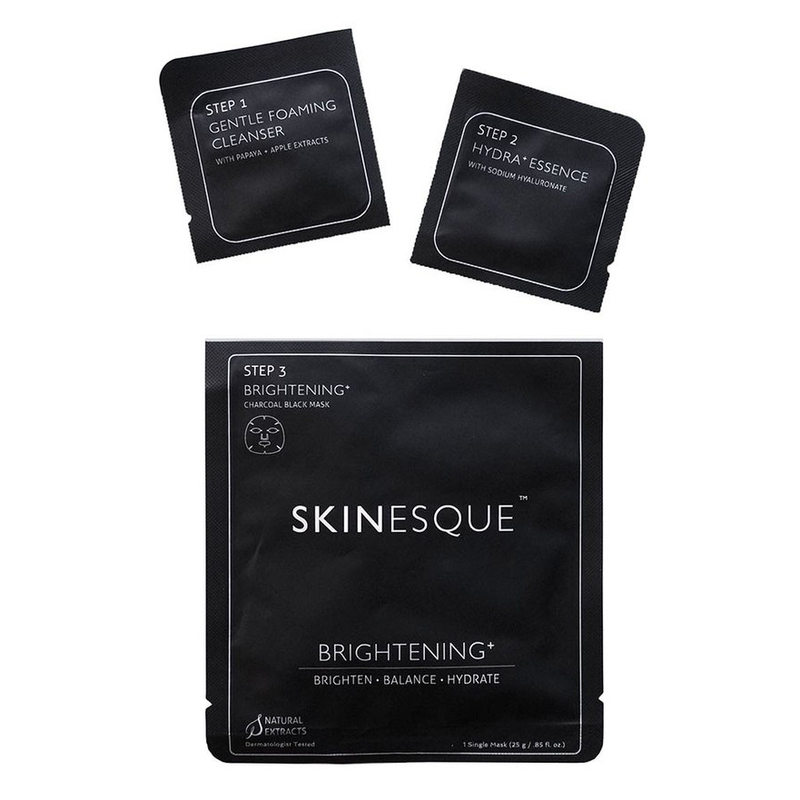 Because of that I’m opting for something with charcoal in it—the Skinesque Brightening Mask. Fast-forward 20 minutes and one cup of coffee. I rinse the mask off, then rub any excess product from the package on my face and neck. Afterwards, it’s time to give my lips some loving. 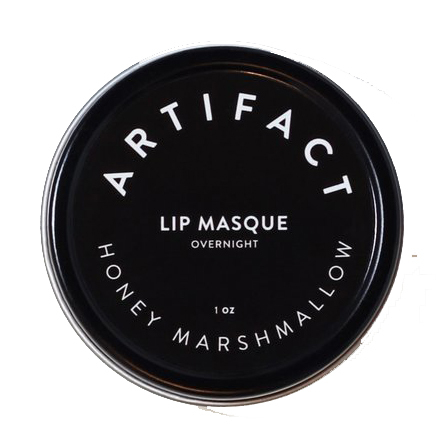 My older sister gave me this Artifact Lip Masque a while back, and I could not be more obsessed. I rub it on my lips for about two minutes and then let it set in while I get dressed. I swear, nothing makes my lips smoother. Most Sundays I try to stay away from makeup. Not only is it good to give your skin a break, but I also feel like applying it cancels out everything I just did. 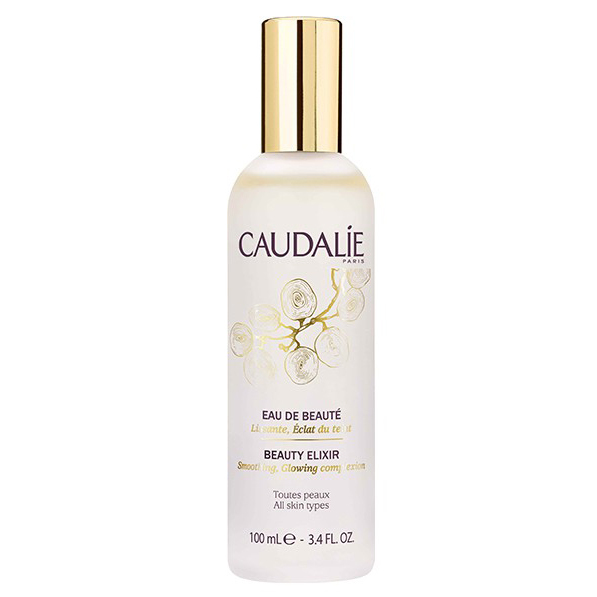 Since I already have product on my face from the face mask, I skip my usual moisturizer and instead spray a good four to five pumps of Caudalie’s Beauty Elixir on my face. Let me tell you, this stuff is called the youth elixir for a reason—it truly makes your skin *glow*. Happy Sunday to me!